Until recently, observers expected American energy production to reach a plateau. A lack of pipeline capacity was expected to constrain output in the Permian Basin through 2020. Instead, shippers found ways to use existing pipelines more efficiently, and new pipelines were constructed faster than expected. U.S. crude-oil production is expected to average 12.1 million barrels a day in 2019, 28% higher than in 2017. Surging production has roiled world energy markets. The key driver of change in the global market is not climate change or the political chaos affecting oil producers in the Middle East and elsewhere, or the fall in the cost of renewables. All those things matter, of course, but their impact is minimal compared with the shift in the geography of supply and demand that has transformed the market in the last decade and will continue to do so. That is the most interesting message from the new edition of the International Energy Agency’s annual World Energy Outlook published last week. To understand what has been happening it is instructive to compare the new Outlook with that published 10 years ago. Hydrocarbons — oil, gas and coal — accounted for 81 per cent of total global energy supply in 2008. The figure today is still 81 per cent and, according to the 2018 Outlook, that will decline only marginally over the next 20 years to 74 per cent in 2040. In 2008, renewables led by wind and solar (including modern bioenergy but excluding hydro power) supplied just 1 per cent of global demand. The latest Outlook puts the figure at 7 per cent — very significant growth but still insufficient to alter the global market or have a major impact on emissions. Renewables are not replacing hydrocarbons but rather nuclear, hydro and subsistence biofuels. Emissions of energy-related carbon dioxide are still rising and are more than 40 per cent higher than in 2000. Despite all the policy measures taken by different countries and mounting evidence of the impact of climate change they are projected to keep growing, albeit more slowly, for the next two decades. Two things, however, have changed. One was predicted, the other is a complete surprise. The first is the growing role of Asia in global energy consumption. From 18 per cent of the total in 1980, Asian demand has risen to 41 per cent now and is projected to account for almost half by 2040. Two-thirds of all the growth in energy consumption to 2040 will come from Asia. China has led the way, with sustained economic growth lifting hundreds of millions of people out of subsistence poverty and giving them the means to buy commercial supplies of energy to provide heat, light and mobility. A decade ago, European companies dominated the list of the world’s top power suppliers. Now six of the top 10 are Chinese. The pattern of trade has also shifted. China now imports 9m barrels of oil a day, making the political instability of the Middle East and Venezuela a greater threat to the country than to any other; energy security is now a Chinese issue. As India, too, begins to grow rapidly, the geography of emissions is changing. The future of the climate will be determined above all over the next few decades by Asian countries — China, India and Indonesia, all of which continue to rely on coal for the bulk of their power supplies. 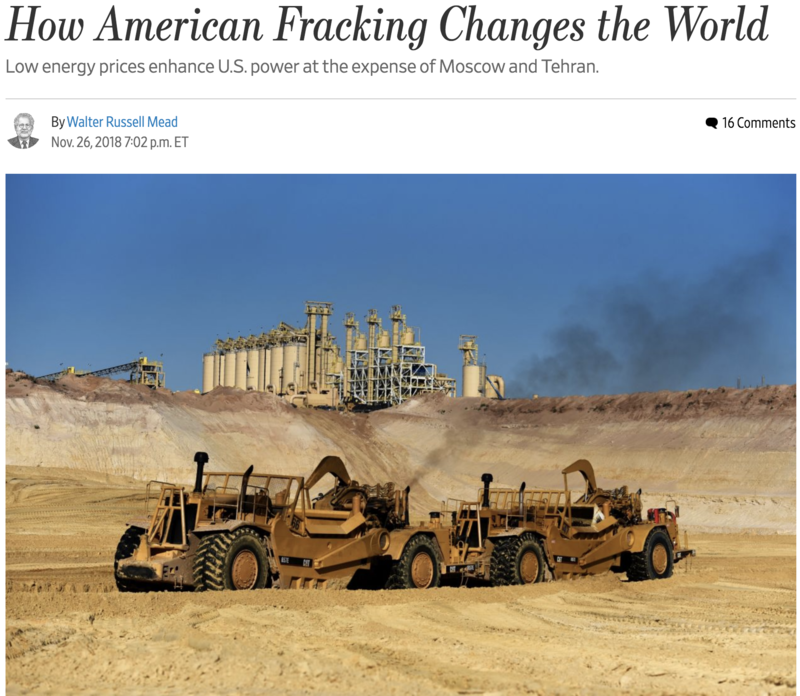 The second change is the re-emergence of the US as one of the world’s leading energy suppliers, meeting its own needs and beginning to export both oil and gas. The shale revolution was completely unexpected. In the 2008 Outlook it is not mentioned. Now, only 10 years later, the US will produce some 7.6m barrels of oil a day from the main shale formations, with the prospect of much more to come. These shifts have affected not just the geography of trade but also prices. In 2008, with Brent crude averaging $97 a barrel, the IEA was anticipating an average of $100 (in 2007 money) over the period to 2015 and double that by 2030. Now, after a brief surge earlier this year, Brent is below $70 a barrel. Because of its origins in the 1973 supply crisis , the IEA has always been concerned about security of supply. Insecurity remains because of the unsettled political situation in major exporting countries such as Saudi Arabia, Iran and Venezuela. But even with the growth of demand in Asia, we live in a world of plentiful supplies. Prices may not be stable but they are on a structural downward trend. And the US story shows that the assumption that a finite resource must always lead to higher prices is no longer valid. The two trends seem set to continue. Shale is still in its infancy and significant development of resources has yet to extend beyond the US. Equally, there remains huge potential energy demand growth in Asia. U.S. oil production has skyrocketed this year, leaving even the most optimistic forecasts in the dust. But, the recent crash in oil prices could do what the much-hyped pipeline bottlenecks could not – slow down shale production. Between 2015 and 2017, shale drilling activity fluctuated with oil prices (though on a several-month lag), with drillers deploying rigs and adding output when prices rose, and scrapping rigs and dialing back on activity when prices dipped. Drilling and production has always fluctuated with prices, but the much shorter lead times for shale compared to conventional drilling, meant that the oil market was responding much quicker to price changes. The ebb and flow of drilling activity gave rise to the “shale band” theory, which dictates that oil prices had an upper and lower bound, largely decided by shale output. Whenever prices tested one of those limits, U.S. shale would steer them back into the middle of the range. More specifically, if prices rose to, say, $60 per barrel, shale activity would ramp up and new supplies would come online, dragging prices back down below that threshold. If prices fell to $40 per barrel or below, drilling dried up and the drop (or slowdown in growth) tightened the market just enough to push prices back up. Since late 2017, when the OPEC+ production cuts really began to bite, Brent prices reliably rose above $60 per barrel and stayed there. While prices bounced around this year, they did so above the roughly $40-$60 price range that dominated the oil market over the last several years. As such, U.S. shale continued to grow rapidly and consistently. Outages elsewhere in the world, combined with OPEC+ action, kept prices from falling. Moreover, while many shale drillers have cut their breakeven prices over the past few years, pressure from shareholders on capital discipline is much stronger than it used to be. In years past, shale drillers could pile on the debt, promising to eventually be profitable, and investors went along. That is no longer the case. That means that the pressure to cut back in order to preserve profitability is potentially higher than it used to be. On top of that, some shale regions are still suffering from discounts because of pipeline issues. So, while WTI is now in the low-$50s, some shale operators might be fetching even less. Earlier this year, Permian discounts exceeded $10 per barrel. The Bakken is expected to see its discount worsen as pipelines fill up. The flip side is that drilling techniques have advanced considerably over the last few years, boosting production rates and lowering cost. That could allow E&Ps to weather the current downturn – should it stick around – much better than last time. As the WSJ notes, the shale industry is in the midst of putting together drilling plans for 2019. Up until now, very few industry insiders or analyst forecasts had prices falling below $60 per barrel next year. The recent plunge could force a rethink. If the industry goes in a more conservative direction, shale output might not grow as much as previously thought. IGas, the UK’s largest onshore oil and gas producer, has started drilling the country’s third shale gas well in the north of England, as it seeks to follow Cuadrilla into fracking in the UK. The company on Tuesday began drilling on an appraisal well at Tinker Lane in North Nottinghamshire, which will be the first dug since Cuadrilla completed the UK’s first two in Lancashire earlier this year. IGas, backed by private equity group Kerogen Capital, does not yet have a licence to begin hydraulic fracturing, or fracking, at Tinker Lane. 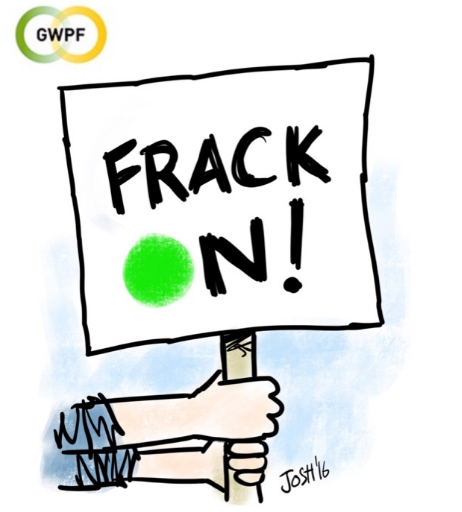 The well will dig down 1,800 metres over 60 days to appraise the feasibility of a potential fracking operation at the site. The announcement comes as a host of companies gear up to follow Cuadrilla into exploiting the UK’s shale gas reserves, at a time when the country is increasingly reliant on volatile imports as production in the North Sea declines. Cuadrilla is seeking to become the first company to start commercial fracking in the UK, after beginning tests in October. However, environmental concerns and political opposition have led to delays. Tremors triggered by the company’s fracking have forced it to pause operations a number of times, which it said has made testing difficult. Like Cuadrilla, IGas is targeting the Bowland shale formation, which stretches across central Britain covering an area between Wrexham and Blackpool in the west, and Nottingham and Scarborough in the east. The study also found no trend in the number and strength of hurricanes hitting the U.S. over the last 117 years. That finding is consistent with past research by study co-authors University of Colorado professor Roger Pielke Jr. and Colorado State University meteorologist Philip Klotzbach. While the nominal costs of hurricanes have increased in recent decades, that’s not because of global warming. Population growth and increased amounts of homes and infrastructure in hurricane-prone areas are driving costs up, the study found. But the upward trend in nominal disaster costs disappears when economic growth is taken into account, the study found. In fact, had the 1926 Miami hurricane hit in 2018, it would have been the most damaging on record. When controlled for economic growth, the study found “no trend” in normalized losses from hurricanes hitting the lower 48 states. 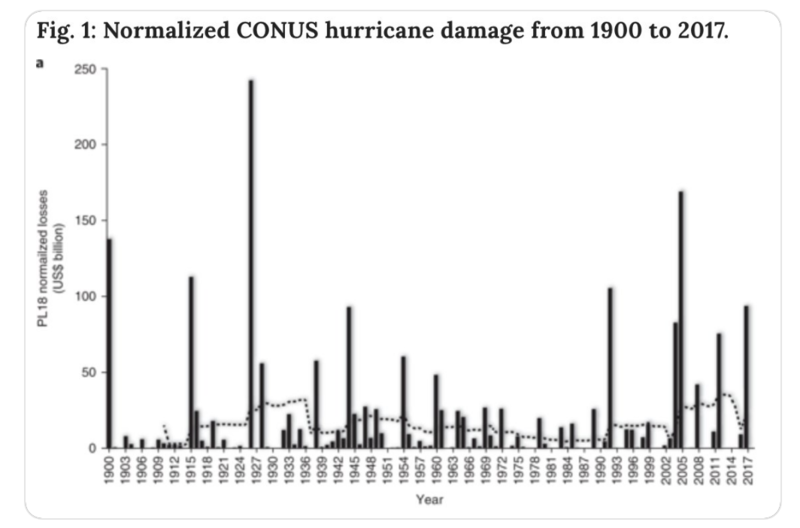 The study analyzed data from 206 hurricane landfalls going back 117 years to 1900. It’s the third in a series of papers looking at normalized hurricane damages. The new study includes economic losses from 2017’s devastating Atlantic hurricane season and adds in damage estimates from “missing” storms before 1940. If anything, the July study showed a declining trend in U.S. hurricane landfalls — though not a statistically insignificant one. Klotzbach and Pielke’s newest paper, once again, shows that population and economic growth are behind increases in nominal hurricane costs. Work by Klotzbach and Pielke on hurricane landfalls was largely ignored by authors of the U.S. government’s latest National Climate Assessment (NCA) report, which was released Friday. In fact, the NCA seems to suggest the opposite of what observational data shows. In review comments, Canadian economist Ross McKitrick criticized NCA authors for leaving out data showing hurricane landfalls weren’t becoming more frequent. “Yet you don’t mention this, instead you spin the topic to make it sound like the trends are all towards more cyclone activity. This paragraph is one-sided and misleading,” McKitrick wrote in his comments. Pielke also criticized NCA authors for omitting inconvenient hurricane data. The NCA was produced with input from hundreds of scientists, including experts from 13 federal agencies. However, the report has come under fire for misusing climate projections to generate alarming media headlines.